Are you tempted to do what is easy instead of what is necessary? With the time you invest with family and friends? In our leisure society, it is very tempting to get busy with non-important things. Let’s take our responsibilities first, and after, the leisure times will be even more enjoyable. Don’t Quit. It Saves Time In The Long Run. Rest, if you must, but dont you quit. What Are We Doing Right Now ? I don’t have the time to read all the books I’d like to, but it seems that I always to find the time to read the most important content. But here is the good news for all of you who don’t like to read. There are more and more book summaries of the Web. This is one way you can get an idea of the content of the book while saving time. There are more and more audio books available that you can listen while you drive your car. If you prefer videos, you can watch the TED conferences online. Many great authors are public speakers as well. To me, investing time to read or to watch great thinkers is a great investment of my personal time. 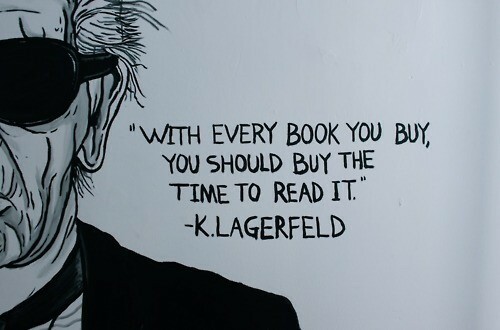 And it isn’t what the book costs; it’s what it will cost if you don’t read it. What Does It Take To Follow Your Dream?